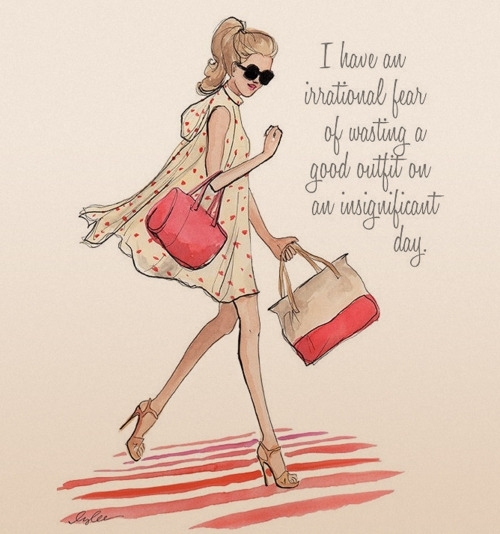 July 2013 – Girl Who Would be KING on Life, Style and INSPIRATION. for clothing, swimwear or any wear! 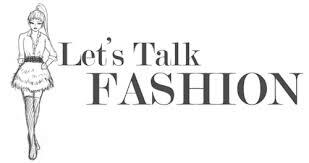 Yes, every woman can be fashionable! This is getting to be the easiest part of my blogging week. 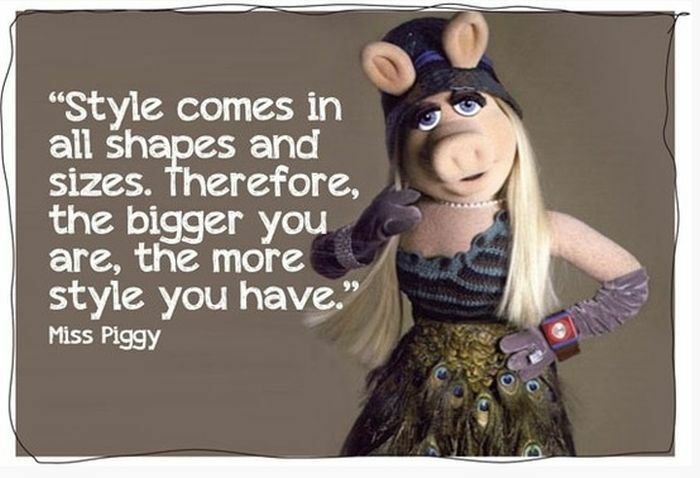 The reason being is that simply put, pretty much anything and everything is in Style. You can hardly make a wrong move. 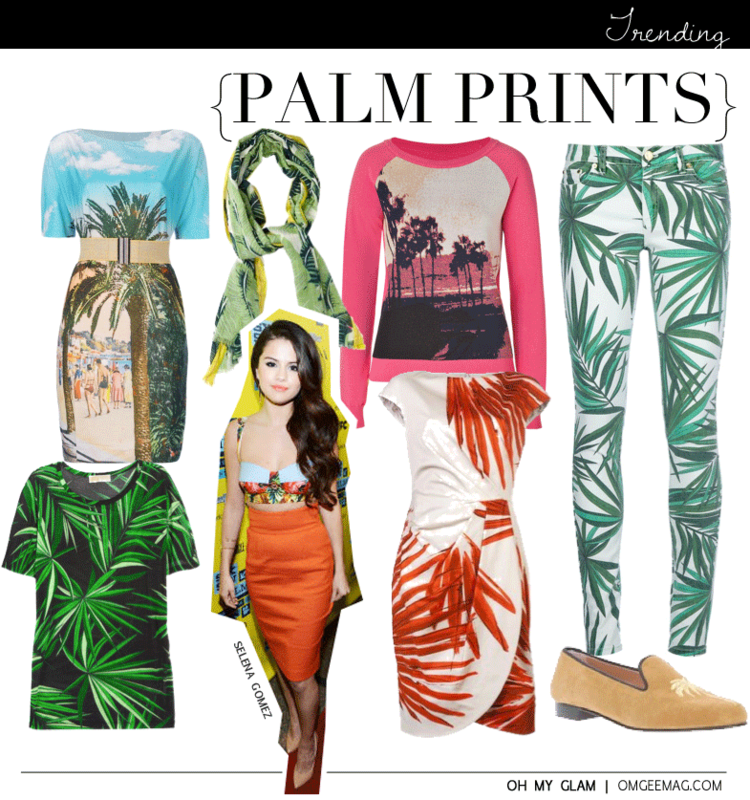 There are *updated versions of last years styles but I love the fact that you can incorporate almost any print, hemline, sleeve + pant length, color and fabric into your wardrobe for a varied and interesting mix. Fergie, Katy Perry, Jessica Alba & Victoria Justice. 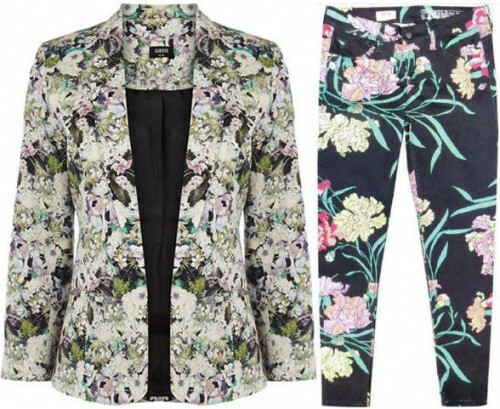 Floral jacket & jeans – check! *Brazilian beachwear label Movimento kicked off their very first summer fashion show with romantic florals, tropical camouflage and a unique variety of cuts, prints and silhouettes. 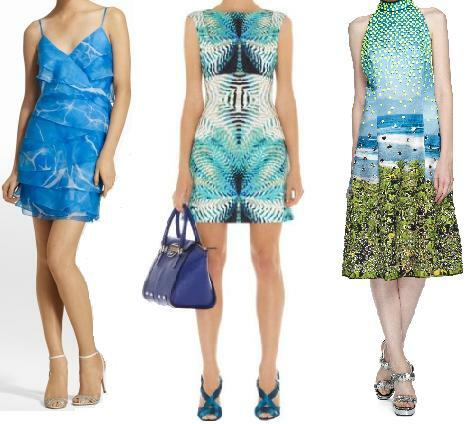 Their Inspiration: the counterpoint between the military aesthetic and tropical flowers, birds and landscapes. With a collection infused with feminine prints, just enough masculine elements were introduced (army-like buttons and stars, olive green & grey in the palette) to keep the line fresh with a touch of edginess. What appeals to you most? 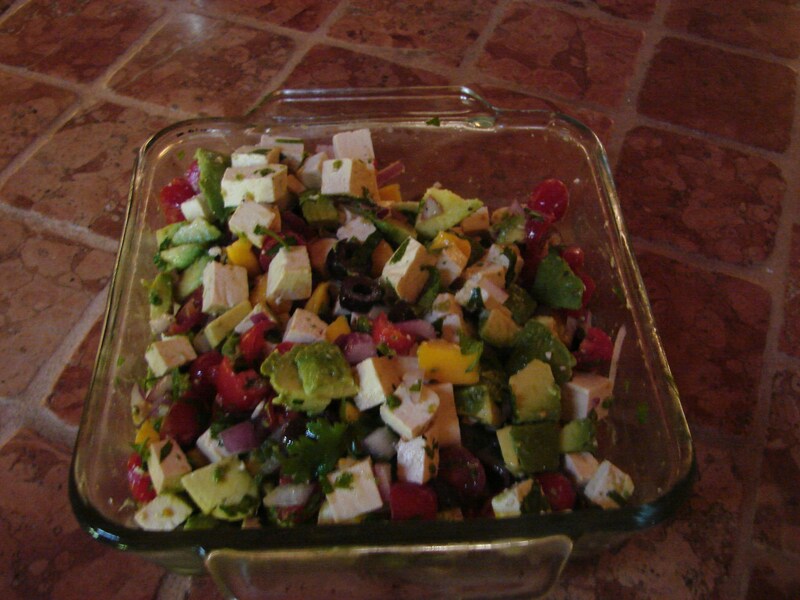 Why shouldn’t vegetarians get to enjoy ceviche too? 2 Tbsp. extra-virgin olive oil, course salt and black pepper to taste. 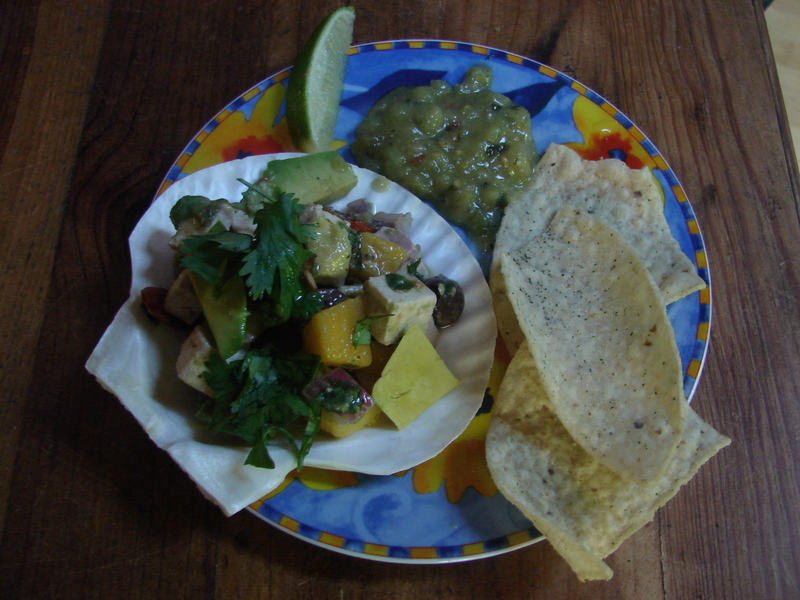 Serve with sliced lime for extra tartness & tortilla chips. *I also had a side of tomatillo/avocada salsa. Rave Reviews! Like the dance,Tangoo is a metaphor for moving in a meaningful way across ones city. It embodies effortless and meaningful movement while always knowing the next step. 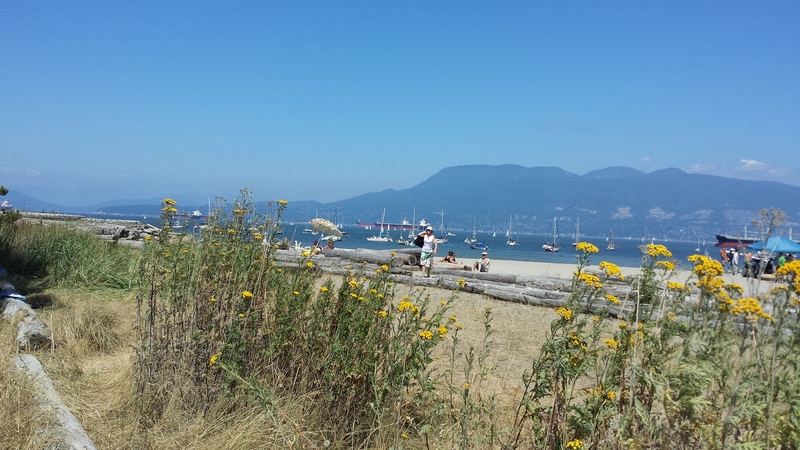 Tangoo’s mission is to make Vancouver a more fun and connected city. Tangoo is the brainchild of Sauder School of Business alumni Henry Heeney and Paul Davidescu with one purpose in mind; to help Vancouverites get the most out of their evenings. The goal was to design a perfect evening out with a blend of distinct people & places, authentic food, stiff cocktails, and ultimately, great memories. Henry and Paul dreamed up the concept of Tangoo after visiting beautiful Barcelona and realizing that Vancouver’s social scene needed a boost. They had to find a way to ease the pain of disastrous last-minute group planning and the difficulty with meeting new people around the city. They succeeded! Tangoo made the Globe and Mail’s TOP TEN Vancouver Attractions. By being a part of a Tangoo evening you’re treated like a VIP where everything is taken care of beforehand so you get to enjoy a hassle-free night out. 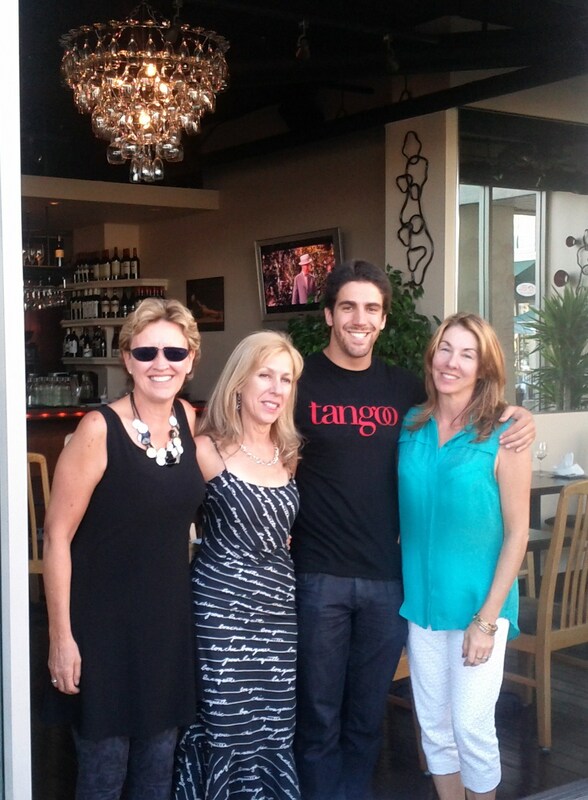 I’ve enjoyed two Tangoo evenings so far and look forward to many more. 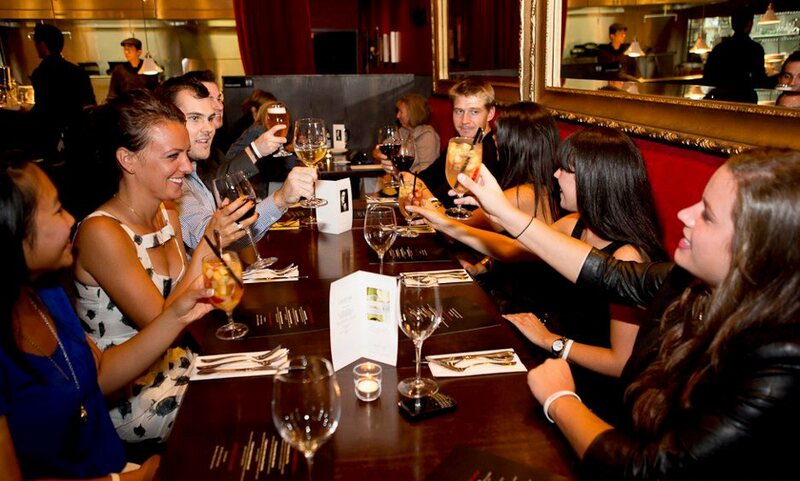 It’s a great way to meet new people, experience the best of Vancouver venues with drinks, appies, dinner, transportation (if required by limo, taxi or ferry boat depending on your location) and ending up at a popular nightclub. Most places are within walking distance of each other which makes for easy access. 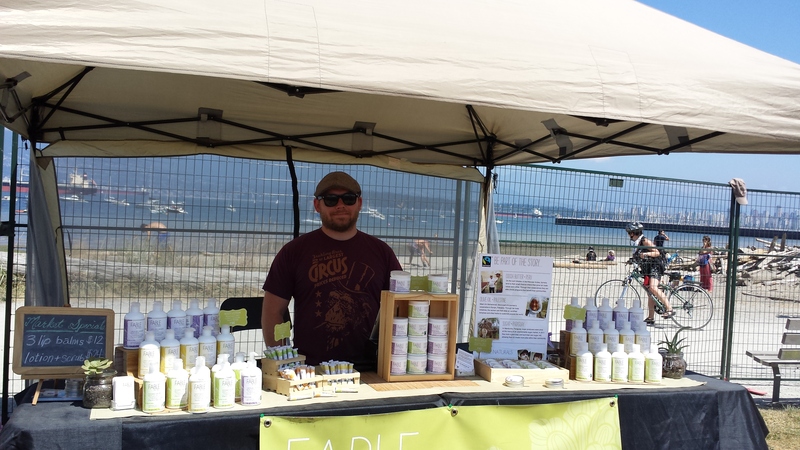 They offer Gastown evenings, or places in Yaletown for example and are expanding to more and more locations like the recent West End & Granville Island. They seek out the drinking and dining gems of Vancouver with groups of 30 or more seated within the same location for easy conversation. The view at our location – Ten Ten Tapas. HOW TO Tangoo: It’s easy & for everyone – just select a night and venue from their calendar & book online which takes care of your 3-course meal and two drinks with tax & tip already included in the final price. How nice is that? Kors with Project Runway panel Heidi Klum, Jennifer Hudson & Nina Garcia. 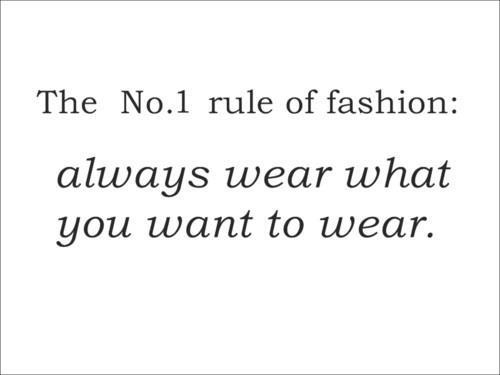 As told to Danielle Pergament for Allure Magazine. 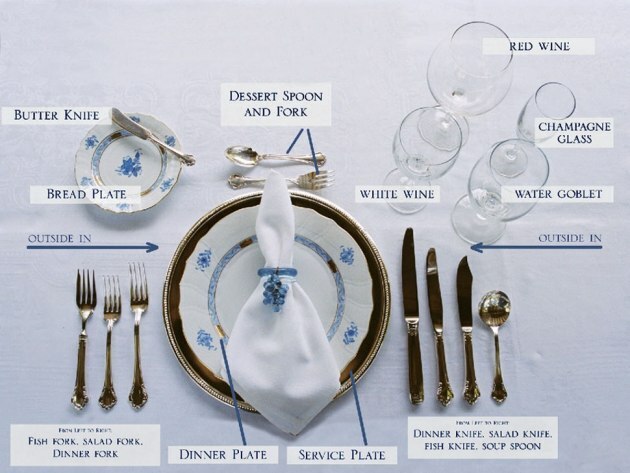 Speaking of Etiquette: where are your MANNERS? 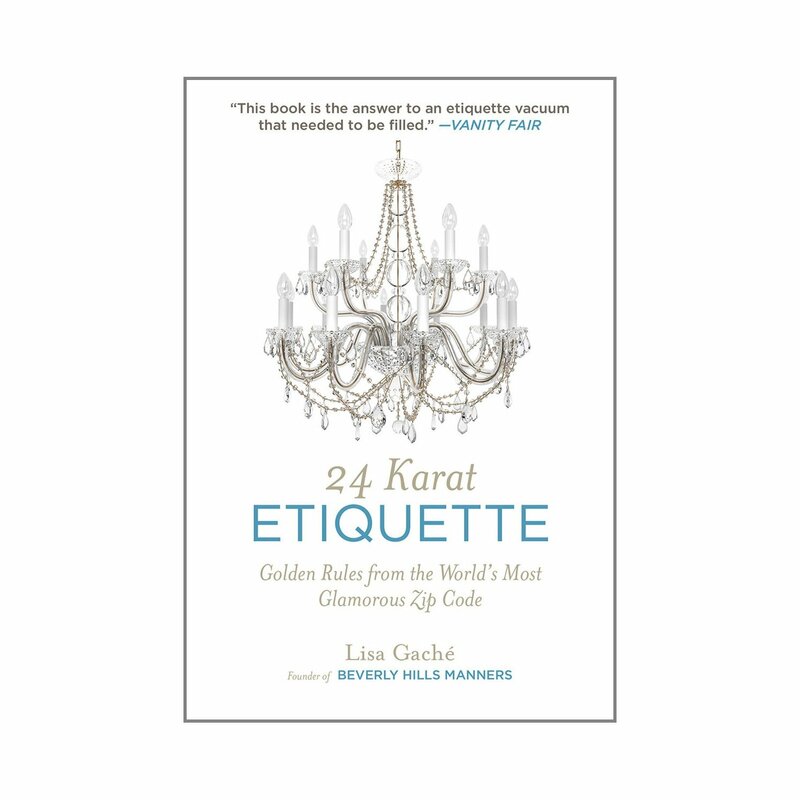 It’s a matter of Mind over Manners but if you’re rusty you can always brush up and order the book of Golden Rules from the world’s most glamorous zip code. There is really a book for everything. 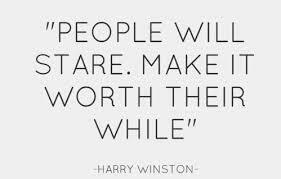 If you’re going to do it – do it right! Maybe you can find this in the “self-help” section of your local bookstore – if you still have a bookstore that is. I think proper manners are getting to be almost obsolete – what a shame because even a simple please or thank you can make all the difference. But a book on the subject? Which must mean that parents (shame especially on you 90210 parents!) are not taking the time to properly teach their kids. Gaché started with a concierge service in Los Angeles; while doing that, she realized there was an etiquette vacuum that needed to be filled. Also, as the mother of two daughters, she wanted to instill in her children the confidence that comes with having good manners. She received official certification from the Protocol School of Washington, in D.C. Her Beverly Hills Manners classes and private coaching include everything from children’s table manners to red-carpet protocol, and she has students as young as five years old. Artists prime their canvas before painting to prevent the oils from seeping through – that is exactly what a primer does for your face. Makeup artists have been using primers for years on models and actors to help create a smooth surface before applying makeup. I’ve been using a primer since before I even knew what a primer really was. Before all the hype and before every single makeup company decided to jump on the bandwagon and create their own. My very first one was 1) Clarins Lisse Minute – Instant Smooth Perfecting Touch Makeup Base – approx. 35.00. I was game to try anything from the luxurious French skincare company since my mom used the line. I liked the oil free, silky smooth texture that glided on and seemed to hide pores and imperfections. Best of all it completely toned down shine in the T-zone which is what sold me on it in the first place. Makeup applied very easily over top. It became a skincare staple. 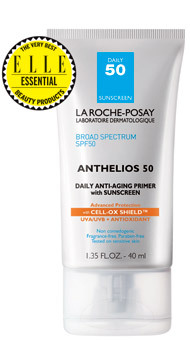 2) La Roche Posay Anthelios Daily Anti-Aging Primer with 50 SPF Sunscreen – approx. 39.99. I loved it – felt like cashmere. The only problem is that if you already use their tinted mineral sunscreen for face with SPF 50 (which I do) they tend to cancel each other out. For winter I might re-consider when switching to a lower SPF day cream. Description: For the 1st time, ANTHELIOS 50 combines broad spectrum UVA/UVB protection with Cell-OX Shield™ antioxidant technology in a primer that is clinically proven to instantly reduce fine lines, wrinkles, pore size, dark spots, and redness. Suitable for all skin types. 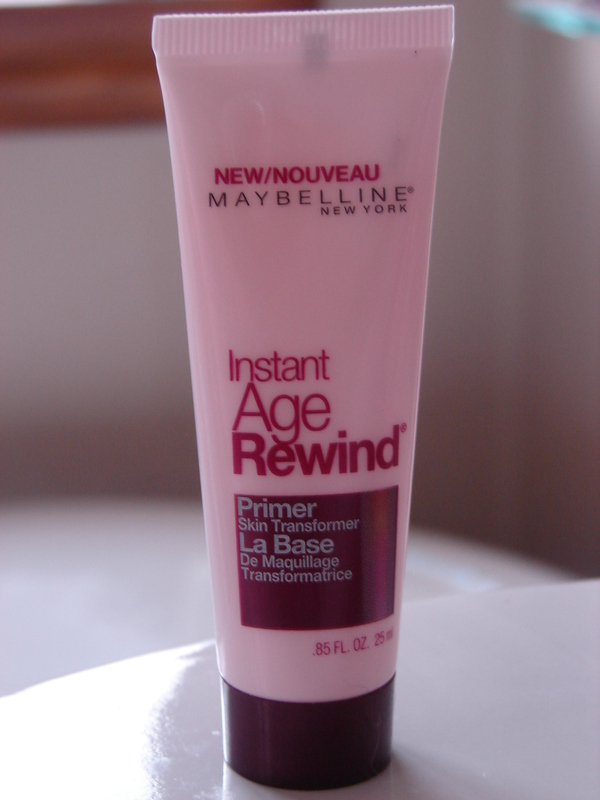 3) Maybelline Instant Age Rewind Primer – approx. $10.00 at drug stores nationwide. For the price this stuff is excellent! Reduces the appearance of lines, wrinkles, pores and imperfections, while enhancing skin’s radiance. A subtle pink tint adds a youthful glow. Apply all over face, after moisturizer and before foundation. Suitable for all skin tones and types. 4) On the higher end I love Micabeauty Cosmetics 100% Mineral Makeup Perfecting Primer. Do you use a Primer – if so, which one? 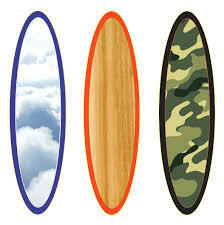 Ever so appealing, exciting and adventurous – to be able to catch a WAVE. It conjures up free spirited with that hint of danger which some make look so easy. 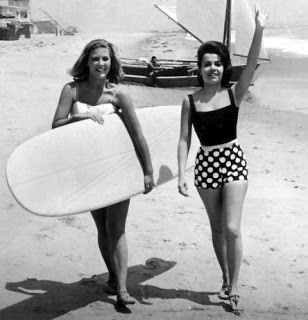 Annette Funicello vintage photo – images. Do you think she was actually surfing? Love the SUIT! 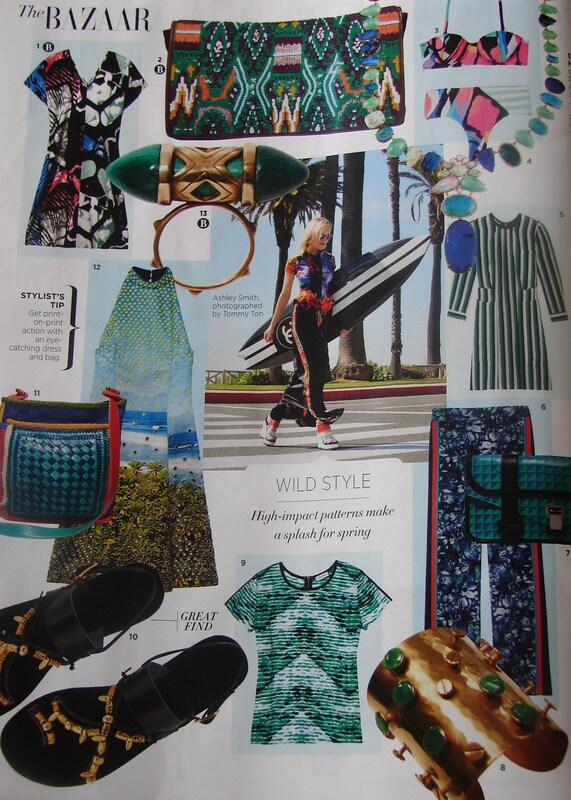 From May issue of Harper’s Bazaar Magazine – if it was me I’d definitely go for the Chanel surfboard even to lie on at the beach. I’m much better suited to surfing the internet – but that can be dangerous too. Go Hilfiger! I found this Tommy Hilfiger shirt dress while surfing. 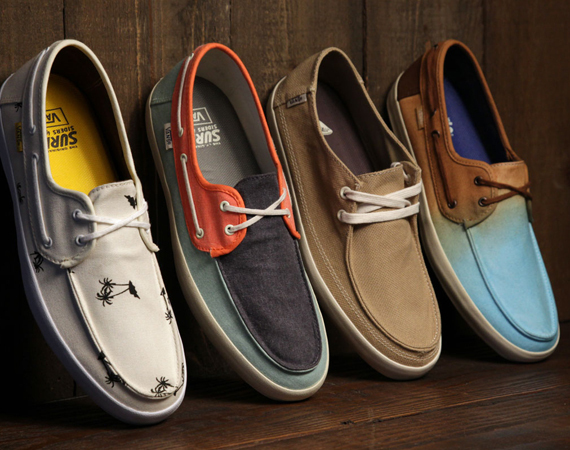 Love these vans-surf casual shoe. That’s me on the cover. You didn’t really think so did you? 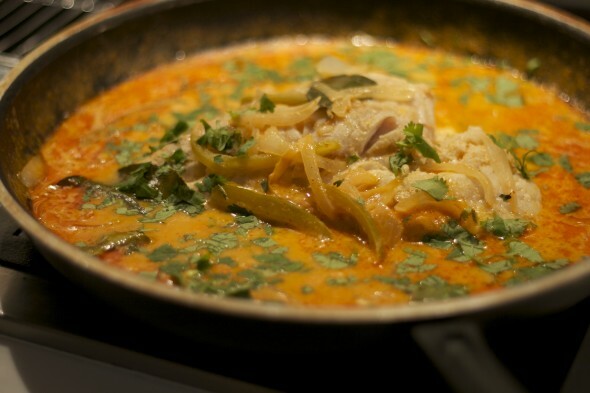 Love Thai Curry? Red, Green & Yellow curry pastes are the base for most of the dishes in Thai cooking and the Red version makes for excellent chicken, beef, vegetarian, fish and other seafood curry. You’ll never buy packaged curry pastes again once you try this recipe. Homemade curry paste makes for tastier curries, and they’re much healthier too! This paste is courtesy of Chef Sarnsern Gajaseni at the Oriental Hotel in Bangkok. It’s enough for at least two dishes, each serving about four people. I’ve made double this amount and divided it up to freeze it, well labelled in separate containers. It freezes very well and you’ll be able to easily use it with a few extra added ingredients (see recipe) to create a delicious curry. If you like this one I’ll be posting the Green & Yellow versions which are slightly different but equally delicious. 10 to 12 hot dried chillies (of the long cayenne variety). I use Thai red bird chillies. 1 Tbsp. fresh lemongrass that has been thinly sliced, crosswise. Fresh lemongrass stalks have a knot at the very bottom. Remove that before finely slicing, crosswise, and at a slight angle, starting at the bottom end and going up about 6 inches. It will not blend unless it has been sliced first. 3 thin slices peeled, fresh or frozen galangal (or ginger). Galangal is fairly tough and needs first to be cut, crosswise, into thin slices, and then chopped before being put into the blender. 1 thin slice of fresh kaffir lime rind or dried rind, first soaked in water for 30 minutes. 6-8 cilantro roots (usually bought from Indian grocers), washed well and coarsely chopped. If you cannot get them, use a small handful of the leaves for the required aroma. ¼ tsp. shrimp paste or use either 2 anchovies from a can, chopped or a bit of anchovy paste. *most of these ingredients I buy from “South China Seas trading company” at Granville Island Market including the shrimp paste and palm sugar (for recipe). Soak the chillies in 5 Tbsp. of hot water for 1-2 hours (or put them in microwave for 2 minutes and then let them sit for about 30 minutes). Put the chillies together with their soaking liquid, into the blender, along with all the remaining ingredients in the order listed. Blend, pushing down with a rubber spatula as many times as necessary, until you have a smooth paste. What you do not use immediately should be refrigerated or frozen. I used fillet of halibut for this one but you can use a variety of firm white fish or even shrimp. The fillets should be cut into roughly 3-inch pieces. 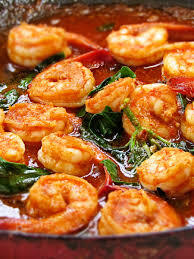 Serve with plain aromatic jasmine rice which will be really nice to soak up the sauce. 5 Tbsp. 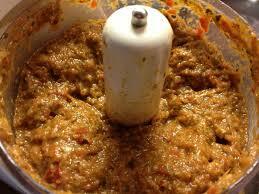 Red Curry Paste (which I hope you made but if not you can always buy it). 1 Tbsp. Fish sauce (there is no substitute but vegetarians will need to omit this ingredient). 1 tsp. thick tamarind paste (if not substitute with lemon juice). Tamarind paste can be found usually at an Indian market. 1 tsp. palm sugar (if not use brown sugar). Carefully open the can of coconut milk without disturbing it too much and remove 4 Tbsp. of the thick cream that will have accumulated at the top. Stir the remaining contents of the can well and set aside. Pour the oil and the coconut cream into a large, non-stick, lidded pan or well-seasoned wok and set over medium-high heat. When the oil is hot, put in the curry paste. Stir and fry until the oil separates and the paste is lightly browned. Reduce the heat to low and add the fish sauce, tamarind paste, sugar and ¾ cup of water. Stir and taste for a balance of seasonings. Cover and simmer on a very low heat for 5 minutes. Stir in the reserved coconut milk. Lightly dust the fish pieces with salt and then slid them into the sauce in a single layer. Bring to a simmer, spoon the sauce over the fish pieces, cover, and simmer very gently until they just cook through. Just before serving, either tear up the lime leaves or else remove the central vein and cut them into fine strips, and scatter these and the basil leaves over the top of the fish. 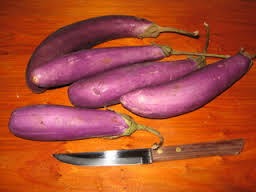 using 4 Thai eggplant, 1 medium chopped onion, 1 cup of bamboo shoots, 6 ounces French cut green beans + 1 red pepper cut into strips. You make it much the same way: Heat 1 Tbsp. of oil in a large wok or fry pan and then cook 2 Tbsp. of red curry paste for 4 minutes over a medium heat, stirring. Then add 2 ½ cups of coconut milk, bring to a boil and simmer, uncovered for 5 minutes. 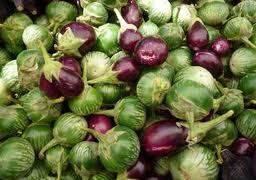 Add the chopped eggplants, bamboo shoots, and 6 lime leaves and simmer for 5 minutes. Add the green beans & red pepper and cook for additional 5 minutes or until all vegetables are tender. Add ½ cup basil leaves, 2 Tbsp. fish sauce (if using), 1 Tbsp. lime juice and 2 tsp. palm or brown sugar. Drizzle with coconut milk, garnish with thai basil and sliced red chilli. Serve with rice. “from curries to kebabas – recipes from the Indian spice trail” – everything in this enticing cookbook is outstanding. Madhur Jaffrey even traces the origins of curry, explaining how the ingredients & techniques were brought to new lands. It’s unusual for me to make so many recipes from one book but each one turned out better than expected – and it took some of the mystery out of these exotic dishes. 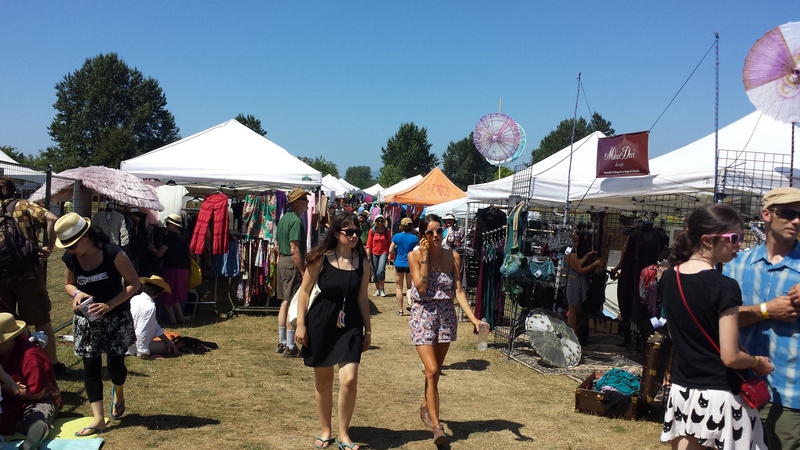 SUN day was the third and final day of the 36th annual Vancouver Folk Music Festival at Jericho Beach. 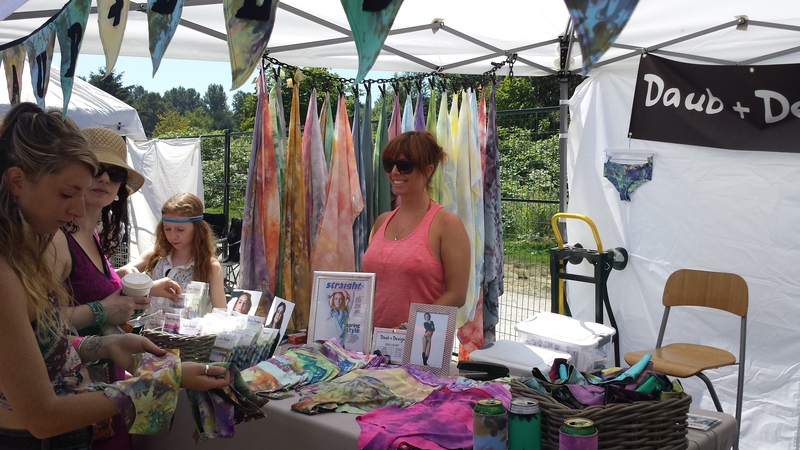 Always an amazing musical lineup of world class performers which you can hear quite clearly from the other side of the fence while perusing the other lineup of various vendors under white tents set up all along the beach – haute hippie style. 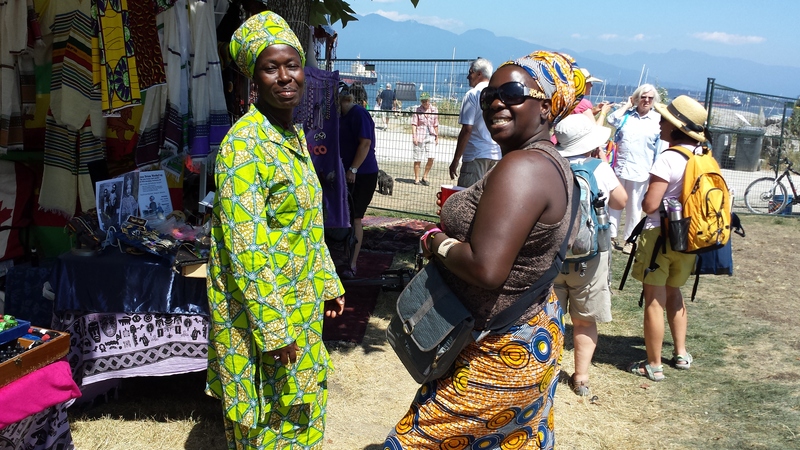 These women are from the Republic of Ghana, Africa. 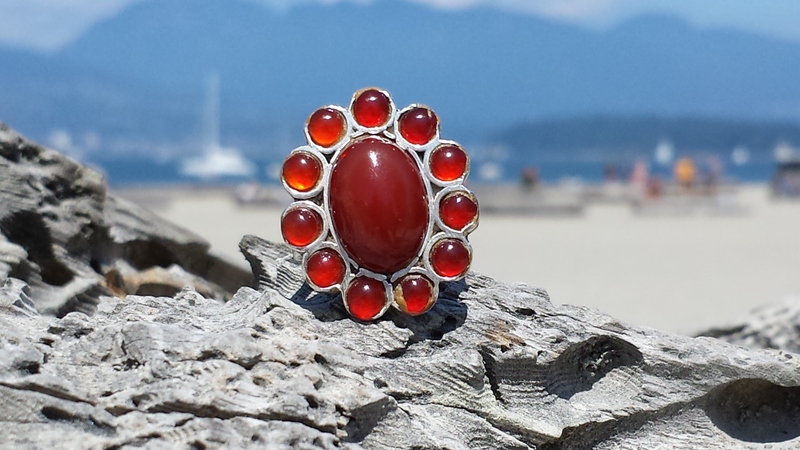 Love at first sight: my purchase – a lovely *carnelian/sterling ring from Fossil Grotto located in Duncan, B.C. *Energy of carnelian resembles a peaceful, warm afternoon filled with genuine happiness. YES! 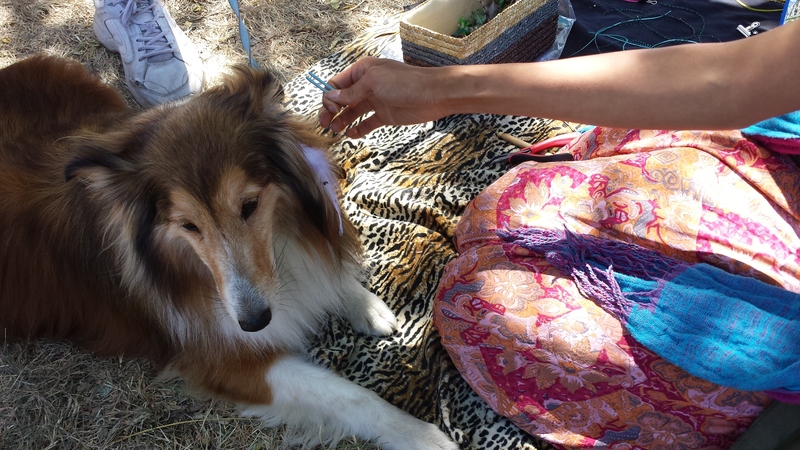 Bonus: Its joyful energy has a nourishing and protective quality to it. Carnelian has courage, confidence and creativity at its core; all these qualities being combined in a calm and grounded kind of way.